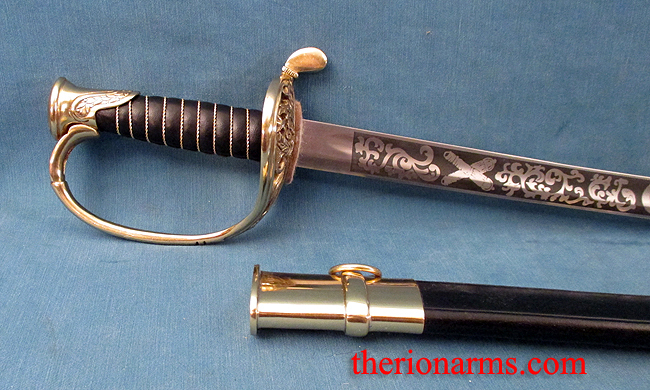 This reproduction of the Boyle, Gamble and McFee sword (as detailed in William Albaugh's "Confederate Edged Weapons", pg. 9) features a hand forged blade of fully tempered of 1095 high carbon steel. 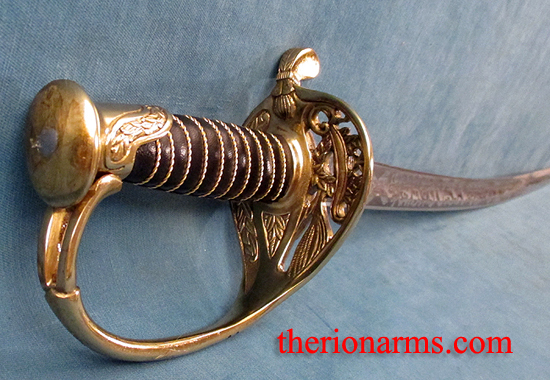 The brass fittings are beautifully hand finished with precise detail, the leather grip is wrapped with brass wire. 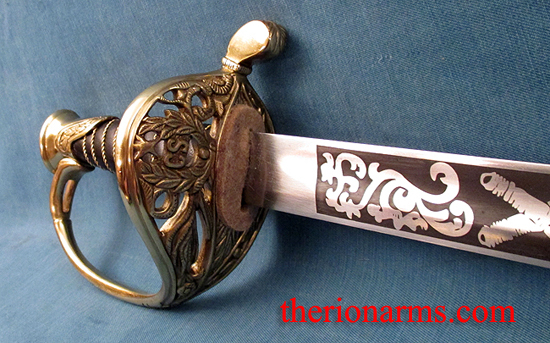 The flexible, ornate blade is etched with "C.S.A. ", crossed cannon, and the Confederate battle flag, and there's a five pointed star and "CS" on the knuckle bow. 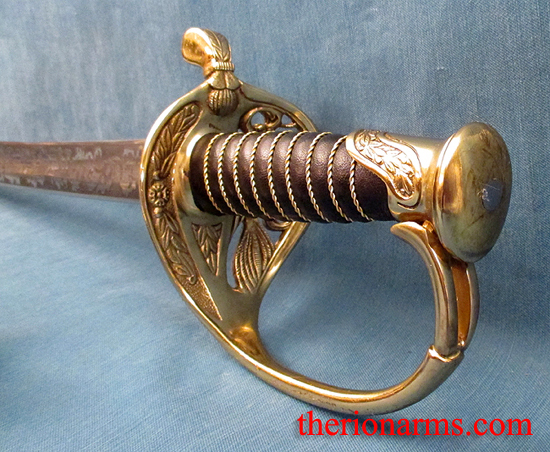 This sword comes complete with a top grain leather scabbard with brass fittings. 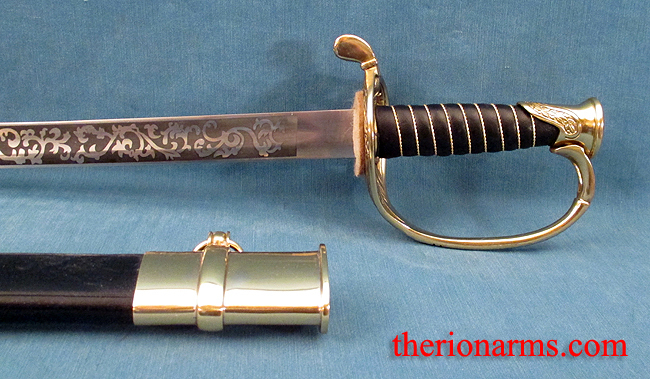 guard: 5" x 5" x 3"
inferior grip length: 4 1/2"